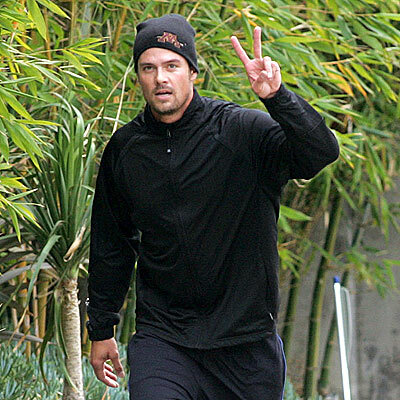 Taking his BlackBerry addiction to a whole new level, Josh Duhamel was kicked off an airplane for refusing to turn off his phone. The mischievous actor was told by a flight attendant to turn off his phone prior to take-off, but Duhamel's thumbs weren't ready to quit. His failure to comply with airplane regulations led the pilot to direct the plane back to the gate and kick the high-profile actor off the plane. Duhamel says he is sorry for the misunderstanding, but I want to know who he was talking to. Is Fergie that important?